Ladies and gentlemen, it is with great pride and honor that I wish you Happy National Creative Ice Cream Flavor Day! In 1984 President Ronald Reagan proclaimed July “National Ice Cream Month” and urged fellow Americans to observe these events with “appropriate ceremonies and activities.” I love those politics :) To kick off ice cream month I’m presenting you with a very creative flavor that I hope will knock your socks off! My cousin’s cousin (hell, we’re all related, he’s my cousin too!) is a masterful chef at the ripe ‘ole age of 14 and a great fan of 365scoops. He sent me this cinnamon bun recipe and anecdote below and I knew I had to turn it into an ice cream. I’ve been saving it for a special day, and today is the day! Adding the butter...which makes everything better! 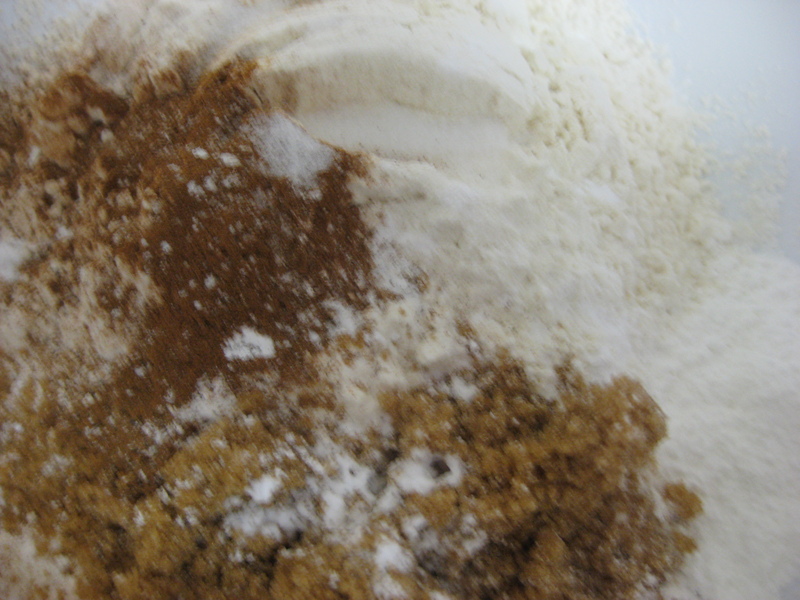 Combine flour, brown sugar, cinnamon, baking soda + powder, and salt in a mixing bowl. Stir with fork to blend. 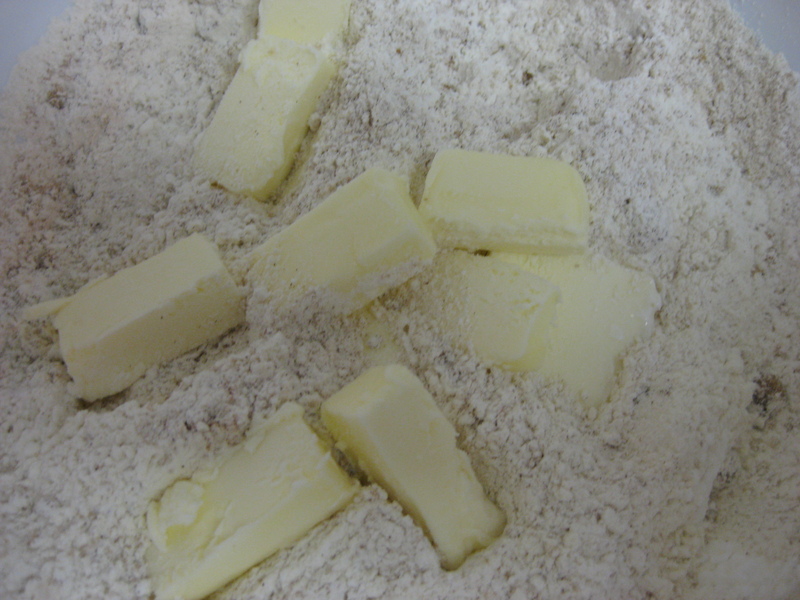 Cut butter into dry mixture; it will resemble coarse crumbs. Beat the yogurt with the egg in measuring cup and pour into bowl. 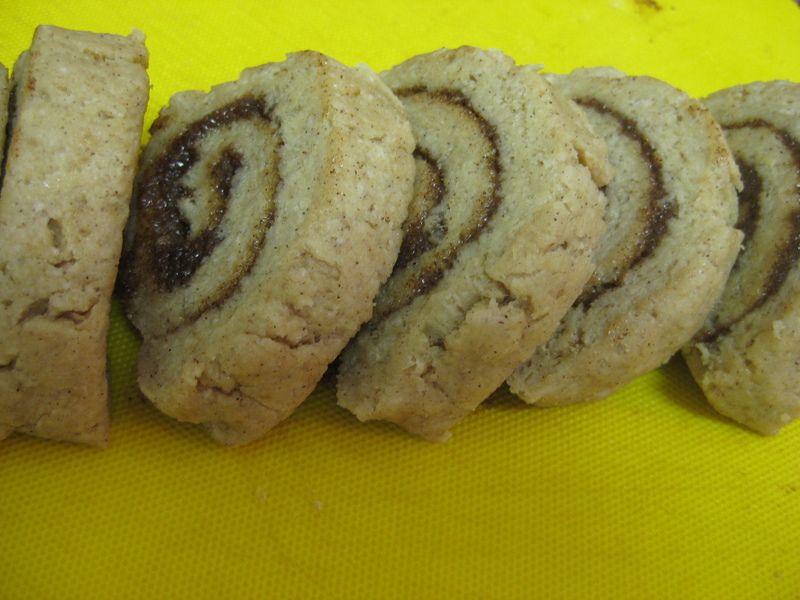 Stir with fork until dough forms ball. Turn dough out on lightly floured surface and knead about five times, until no longer sticky. 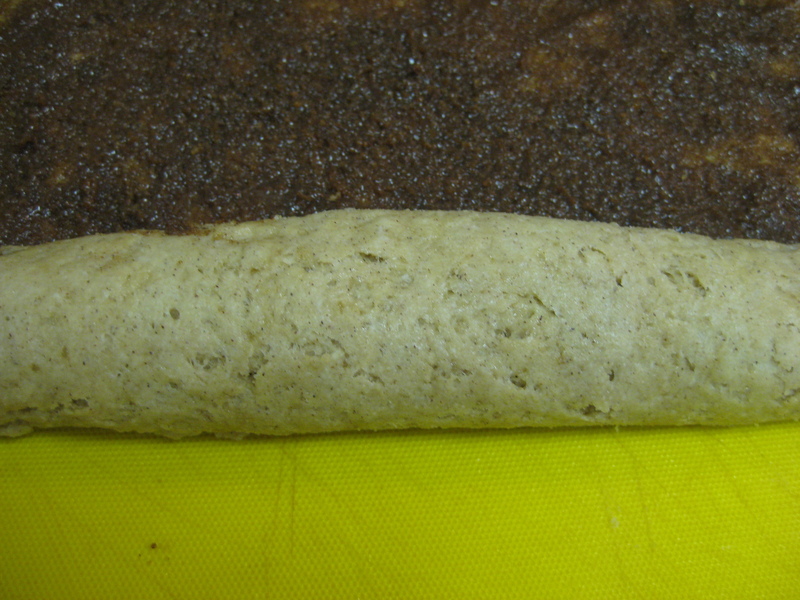 Pat dough into 12×8 inch rectangle. 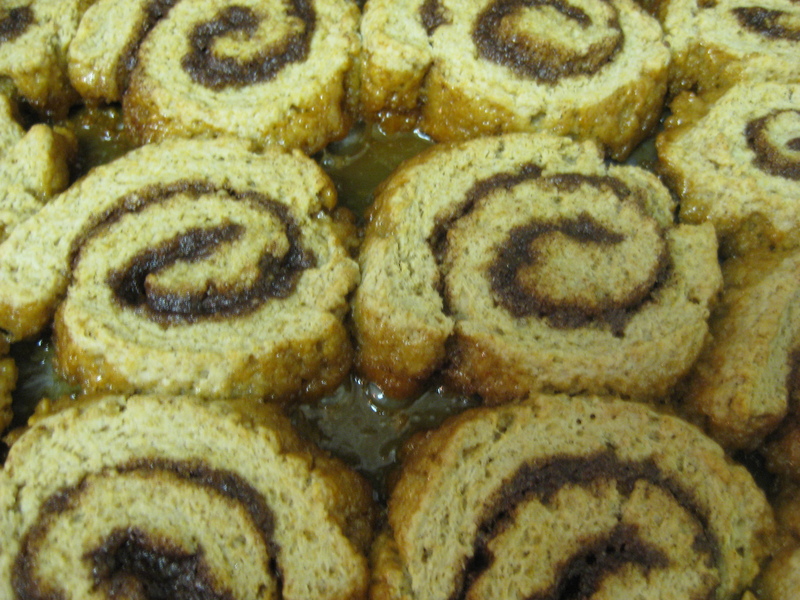 Spread with filling and roll up into 12 inch long “jelly roll”. Cut into 1 inch thick slices. Spray 9×13 inch pan with nonstick coating. Spread 1/2 glaze on bottom and then arrange rolls on top of glaze. Bake 15-20 minutes until rolls are golden and glaze is bubbly. Watch them closely as they can burn quickly! remaining glaze drizzled on top was simply heaven. 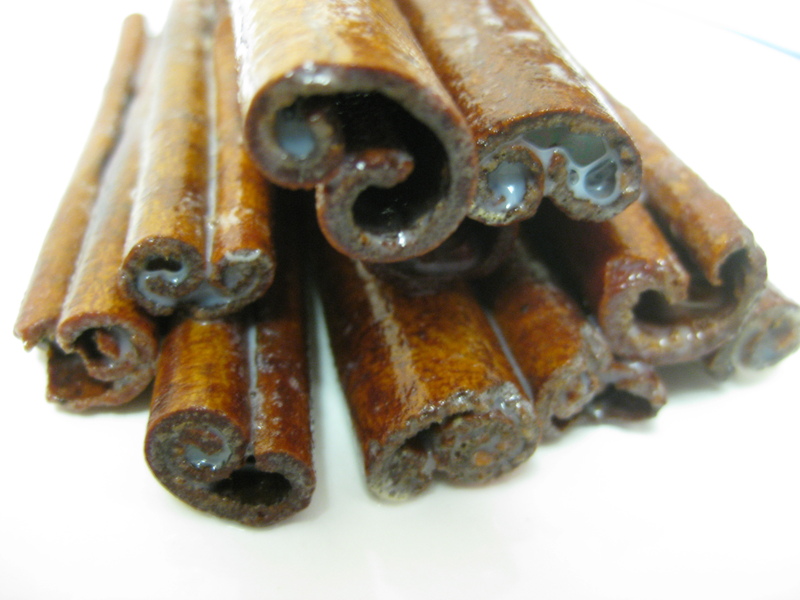 In a saucepan, combine the milk, sugar, salt, cinnamon sticks, and 1 cup of the half-and-half. Warm through, and then cover and let steep off the heat for one hour. Pour in the remaining cup of half-and-half. Refrigerate until completely cold. Once cooled, pour the mixture into an ice cream maker and churn according to the manufacturer’s instructions. 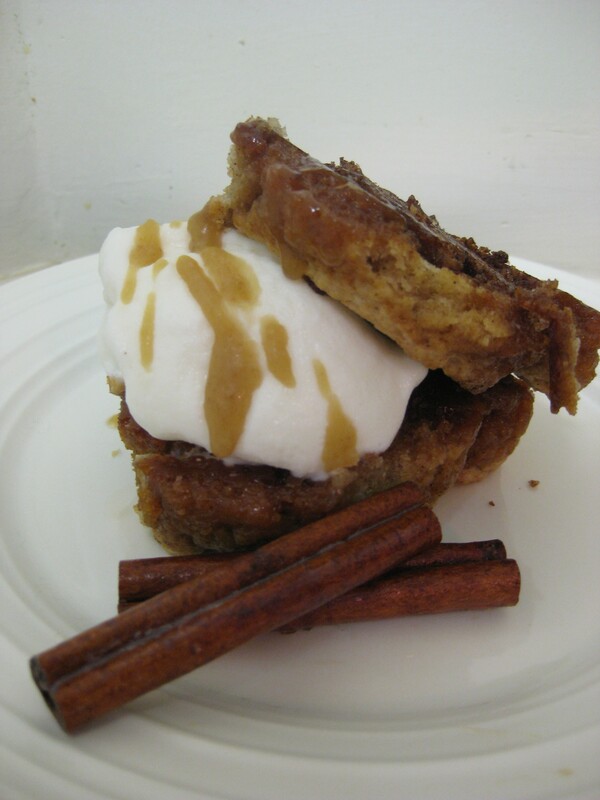 To serve this incredibly delectable treat you’ll need two warm cinnamon buns, a generous scoop of cinnamon ice cream, and 1-2tbs of glaze. Place one cinnamon bun on a plate, glaze side up,scoop a generous heaping of ice cream on top and drizzle with a bit of glaze. Cover with the second cinnamon bun, glaze side up. Enjoy! The Verdict: In-cred-i-ble. Mouthwatering. Buttery and gooey. The perfect amount of cinnamon. Most importantly, Mitchell, you’ve made 365scoops proud! Here’s to many more delectable days during national ice cream month! Now that's the money shot!! That looks like one heck of a delicious ice cream treat!! You done those cinnamon buns proud!! !